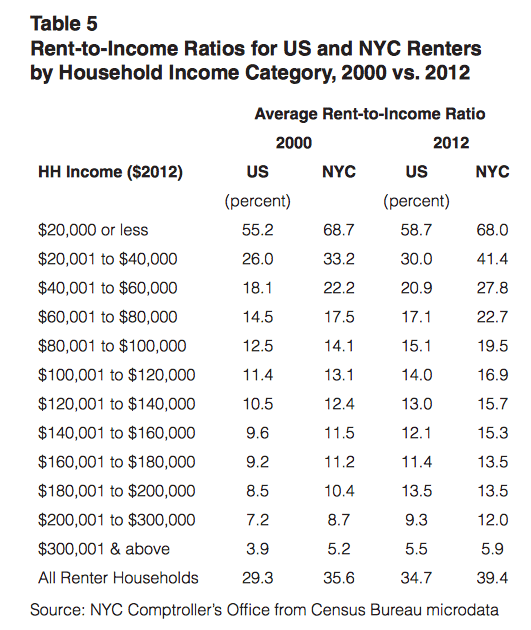 It’s not a secret that New York City is an expensive place to live. The average rent for a two-bedroom apartment is $5,248 a month in Manhattan — so if you’re going by the old rule of thumb to spend about a third of your income on rent, you need to be pulling in about $200,000 annually to live comfortably. New York also has the second-lowest office vacancy rate at 10 percent, behind San Francisco’s 9.9 percent, according to tech-focused aggregator and commercial real estate brokerage TheSquareFoot. There’s clearly a strong driver of increasing rent prices that is hard to argue with: demand. 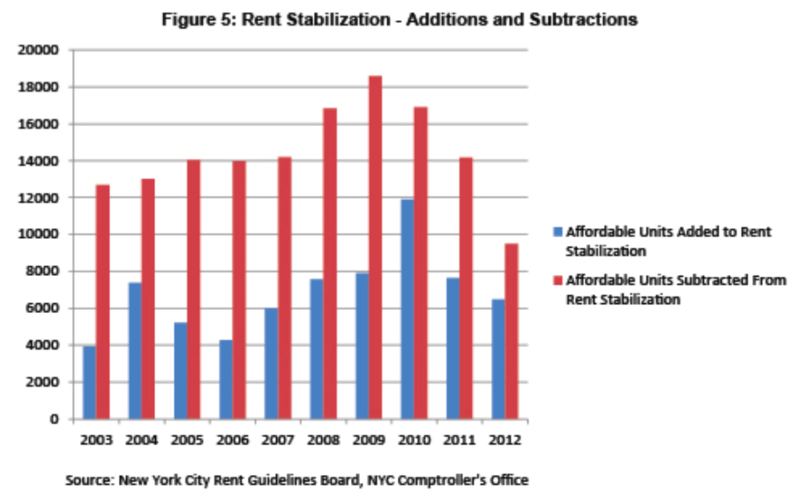 That’s why the recent expiration of the decades-old rent stabilization on June 15 held so much weight for renters in apartments that are under current rent control regulations. On June 18, lawmakers announced they were still negotiating over the bill and extended it five days. On June 23, lawmakers will meet in Albany again to hash out details that will impact nearly 2 million apartment renters. Gov. Andrew Cuomo, New York City Mayor Bill de Blasio and other lawmakers are seeking ways to keep rent affordable for New Yorkers, which also includes a potential property tax abatement to enable landlords to make building improvements without having to increase rent. And although the lack of affordable rentals is an issue that New Yorkers are all too familiar with, some argue that keeping prices below market value won’t have a positive impact on the economy or housing market in general. Lawmakers are also questioning a rule that states once apartment rents have surpassed the $2,500 mark, they could be removed from regulation. Vacancy decontrol was initially introduced in 1971. This meant that apartments regulated under the current laws and were vacated after June 30, 1971, were no longer regulated and landlords could increase prices as they saw fit. According to the Metropolitan Council on Housing, the Temporary State Commission on Living Costs and the Economy report found that landlord costs increased by about 7.9 percent in 1974, but rent costs skyrocketed by 52 percent. New York City wasn’t the only city to try vacancy decontrol, nor was it the only one to see massive upticks in rental prices. In Boston, Massachusetts, and Santa Monica, California, rent grew by 54 percent in four years and 90 percent in 10 years, respectively. Regulations in New York City were reversed for many apartments in 1974. Then, in 1993 and 1997, 250,000 apartments were deregulated. Landlords had the ability to boost rent costs by 20 percent, passing the threshold of $2,500. However, according to National Apartment Association COO Bob Pinnegar, upping the prices of apartments could help improve the market in the long run. “Really, the solution is to remove the controls and allow the market to go to work,” he said.